Lovely Links Wedding Invitation by Ashley Parker Creative. Ashley Parker Creative is a stationery design company that specializes in customized invitations and paper decor for weddings, parties and life's other special events. Our Greek Paperie collection features paper designs for sorority women. The Lovely Links Invitation pairs a traditional calligraphy font with a modern pattern. 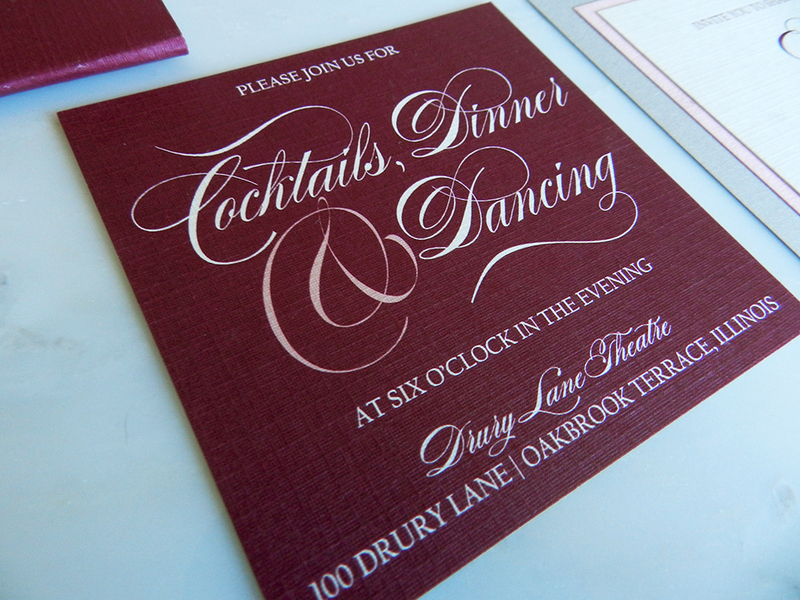 The original design features a double cardstock backing on linen paper, but the invitation can also stand on its own. The link pattern is a modern twist on the tie-the-knot sentiment. 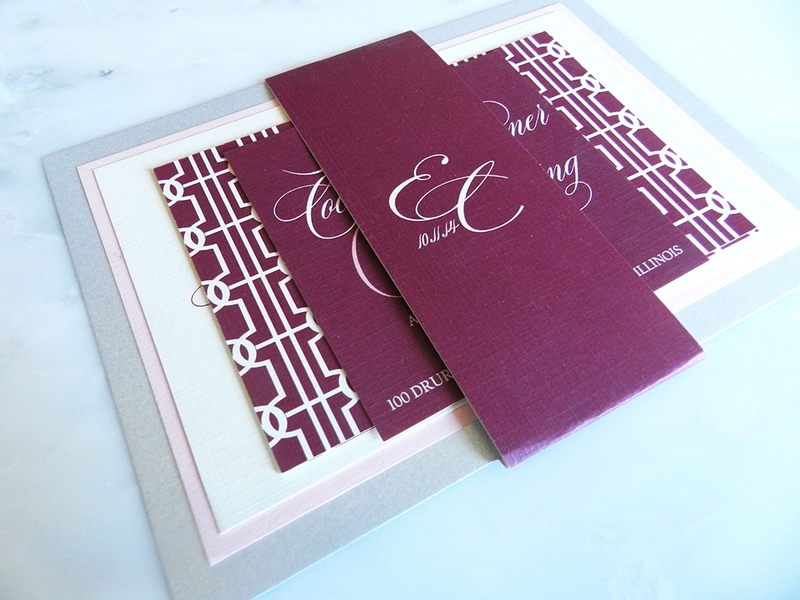 A formal layered invite inspired by the beauty of the calligraphy font and accented with a modern, simple pattern.